I might be a little late on the cold summer drink bandwagon. I realize that. But I’ve just discovered this concoction and I swear I’ll drink it until mid December! (I’ll report back on the validity of that statement). Now, I’ve shared a few delicious hot drinks like DIY Chai Mix and Hazelnut Mocha, but not really any cold ones. Until now. Coffee is a very polarizing thing. So before I share my method, I want to admit a few things. 1) I’m not a barista. 2) I’m not even that into coffee. I couldn’t tell you the difference between most brands, or even some roasts. 3) I put lots of stuff in my coffee. This is part of the reason why I don’t have the sophisticated coffee pallet that others might have. Why do I say that? 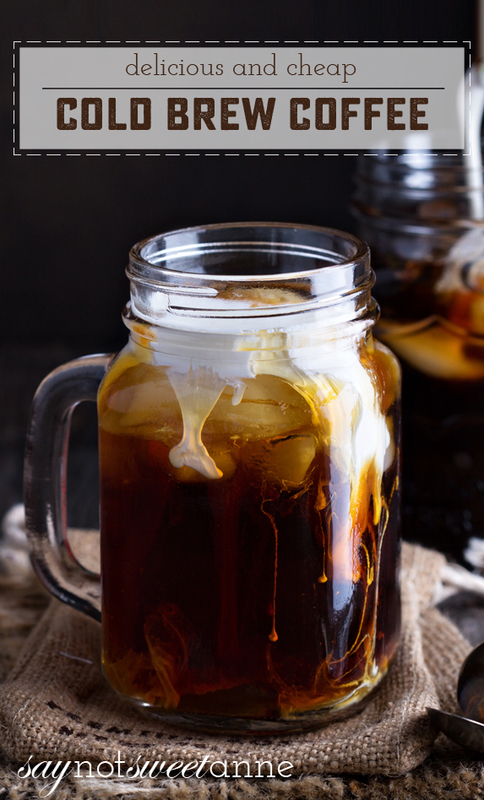 Because I love this cold brew coffee recipe, but I know that some won’t. That is okay! 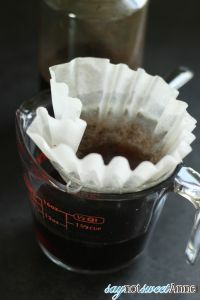 It is a beginner’s drink, and those who are really into coffee will surely be able to find way more specific ways of brewing their extra special coffees. Begin by washing your brewing jar really well. Rise thoroughly to be sure there is no soap residue. 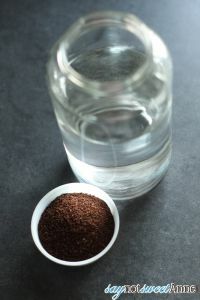 Add your coffee grounds and the water to the jar. Mix well. Let rest on the counter at least 12 hours, up to 24 hours. 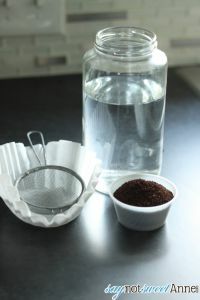 When ready, filter the coffee by placing the filter on the mesh strainer and pouring the coffee through. When finished, discard the first filter and do it again with the second. Done! 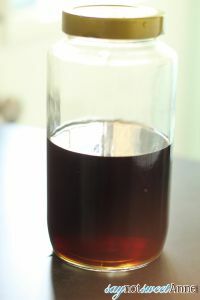 This coffee makes a great base for any cold coffee drink. 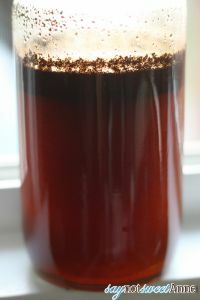 This cold brew coffee recipe, in my opinion is much less acrid and more dark-chocolate like in its flavor. 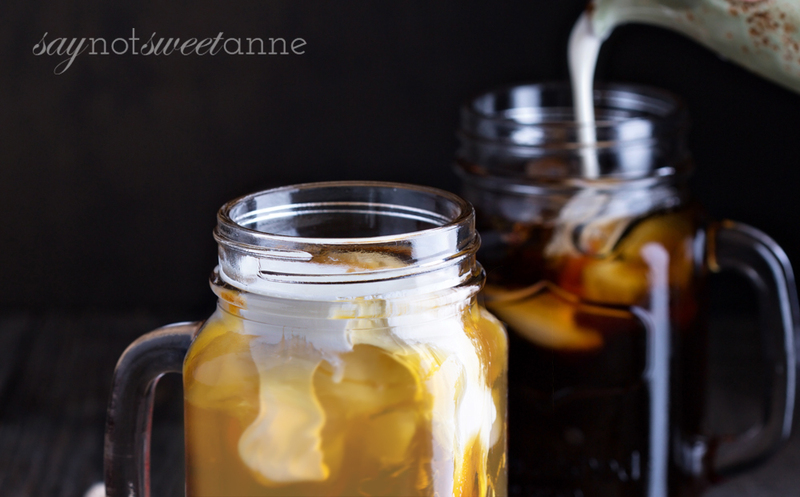 I love to add some ice, a little creamer, and a splash of water (this stuff is strong!). Ok I’m behind… I ad no idea you could do this! Ill have to try it, my son loves iced coffee and this sounds like a much better way to make the coffee base than adding ice! It is WAY better than chilling hot coffee. Much smoother, and no ice means no wateryness. (Although I take this and make ice cubes from it, so when I want ice it doesn’t water the drink down). My current favorite way to drink it is with a tsp of sugar and 1/4 cup vanilla soy milk. 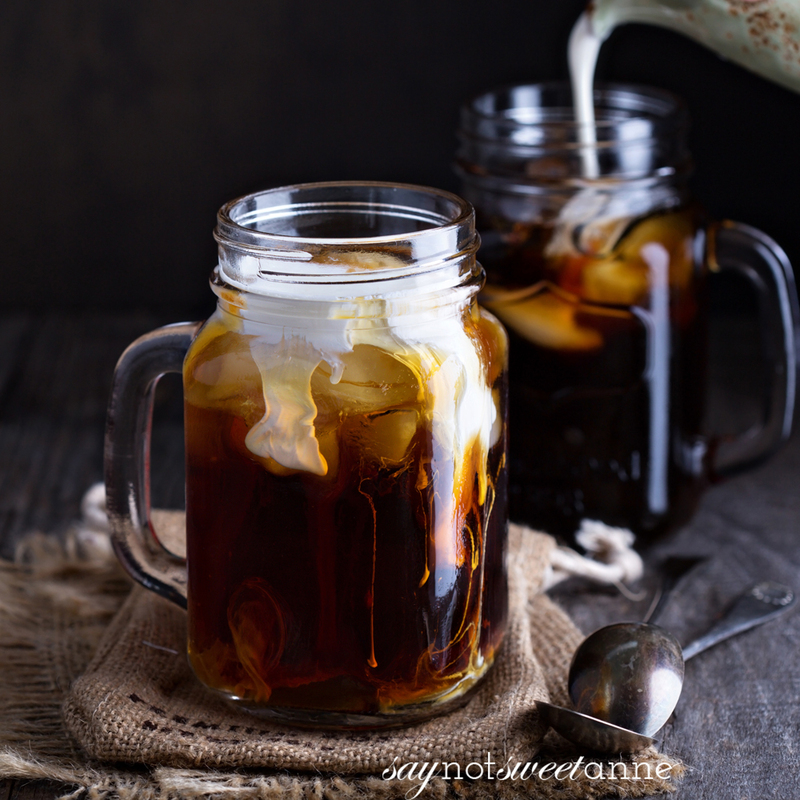 I love cold brew coffee! Thanks for sharing this…I think I’m about due to make some more!